A pie made out of spaghetti. And it’s vegan. Now you’ve seen it all. If you could translate a hug into food, it would probably become spaghetti pie. It’s warm, comforting, familiar, simple and, like the very best embraces, noodley. (Note: I may have abnormal hug preferences). 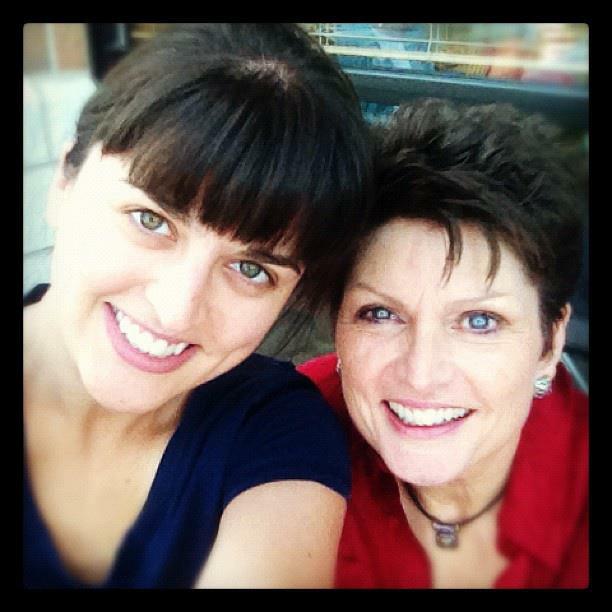 The story of spaghetti pie begins with my mother, who I am like in most every way. We both love classic films and jet-fuel-strength black coffee. We both become apoplectic in crowded situations. And we also both have a tendency to burst into made-up-on-the-spot lyrics when frustrated. In short, we are both a little odd (and okay with it). This is Little Lloyd Dobbler. To be fair, you’d spoil him too. My mama does not, however, share my love of cooking. 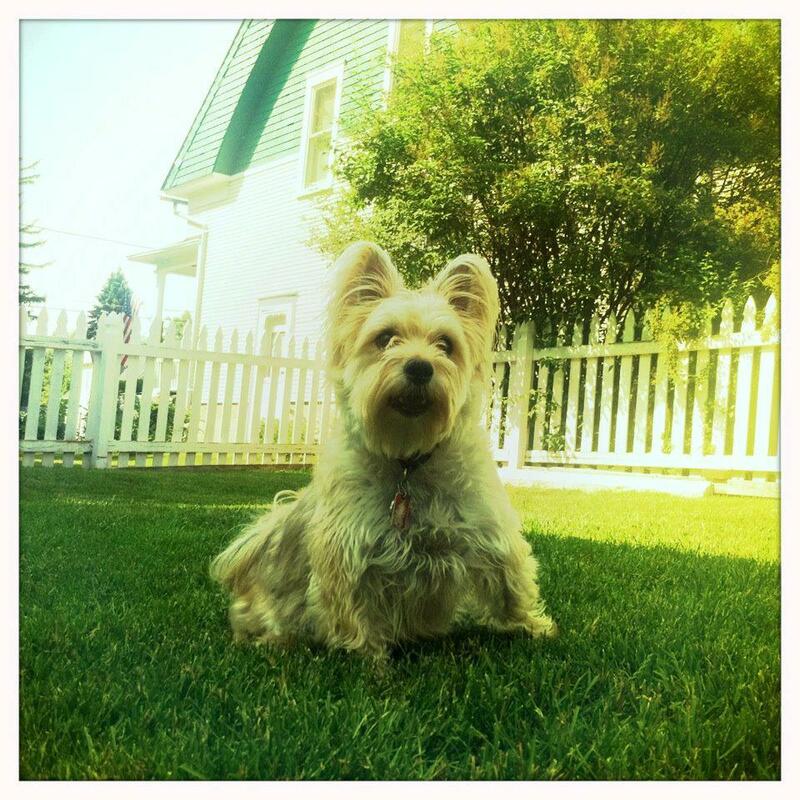 She’s good at it, no doubt, but would just rather focus her energies in other areas, such as spoiling her dog rotten. So when I was growing up and she did spend time in the kitchen, what resulted was usually a treat. 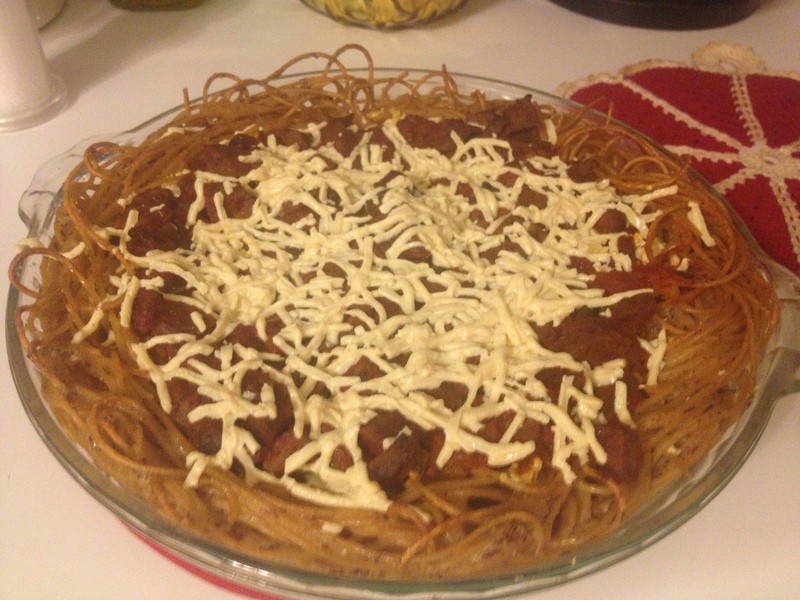 One of my very favorite dishes was spaghetti pie, probably because it’s also a bit of an oddball. Noodles in a dessert dish? Wah? At my mom’s genius suggestion, I devised a vegan version of this comfort food champion for all of us plant-eaters, replacing cottage cheese with crumbled tofu, swapping in vegan butter for the cow kind, and calling for egg and meat substitutes. 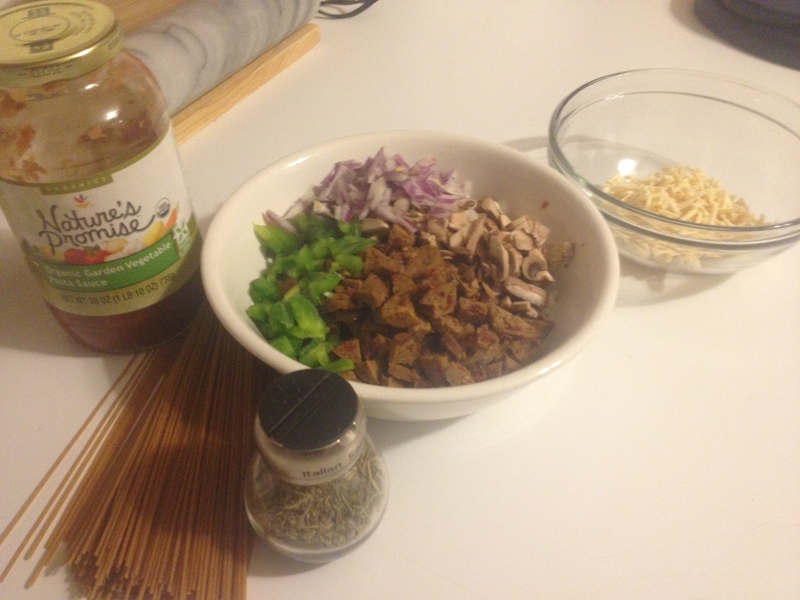 For the meaty part you could use chopped mushrooms, seitan, or vegan beef crumbles. I chose to use a combination of baby bella mushrooms and diced up Tofurky Italian sausage, which I am kind of obsessed with. Your ingredients stand at the ready. This here is your noodle crust and tofu “cheese” base. Cook the spaghetti according to the package instructions and drain. Mix your butter into the still-hot spaghetti until it’s all melted. Stir in the flax eggs until the noodles are coated. Place the mixture in a buttered 10-inch pie pan/tin, and form it into a crust-like shape. 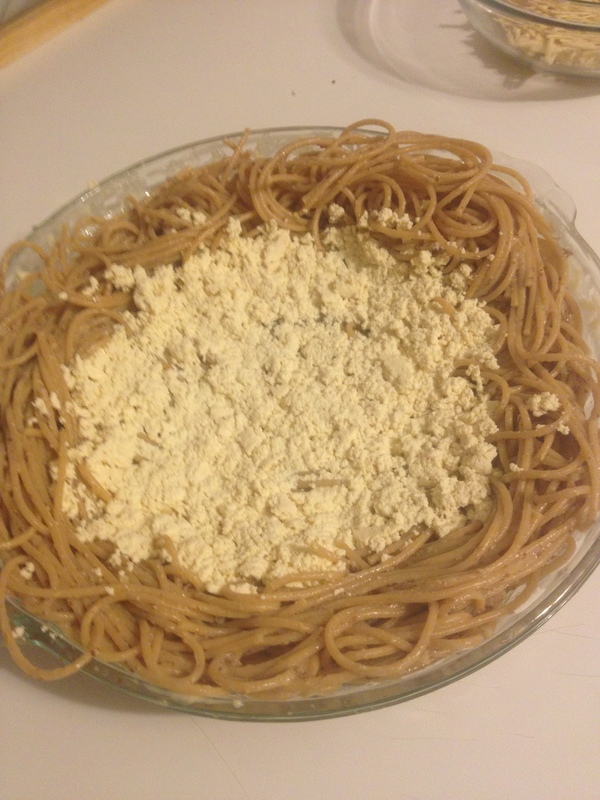 Spread the crumbled tofu over the bottom of your spaghetti crust. Cook up your meat replacement of choice in a skillet, along with the onions, mushrooms and peppers, over medium heat until the meat replacer is browned and the veggies are soft. Add the spaghetti sauce and heat the mixture through. Pour the skillet mixture into the pie pan, and bake uncovered at 350 degrees for 20 minutes. Sprinkle the pie with the mozzarella cheese and some Italian seasoning, if you wish, and bake for another 5 minutes or until the cheese is melty and browning and calling your name. That’s it! Let it cool for about 10 minutes before digging into your very own noodly hug. You have to eat this immediately, right? I like rhymes and puns and also scrambled tofu. If that sounds gross to you, I say 1) I understand and once felt the same but 2) you are wrong because 3) you just haven’t eaten well-made tofu scramble yet and, finally, 4) puns and rhymes are where it’s at. Also, I present this vegan Italian frittata that has made many of my mornings (and evenings, and afternoons) much sunnier/yummier. I found it during one of my trips down the rabbit hole we like to call Pinterest, here. One additional note: this meal is carnivore and veggie-eschewing-boyfriend approved, so if you don’t like it…you’re probably broken. Best of luck with that. All mixed up. In a good way. Preheat the oven to 400 degress. To give the tofu a yellowish tint and eggy flavor, mix in the soy sauce, mustard, nutritional yeast and turmeric, and combine well. Warm the olive oil in a medium skillet (I prefer cast iron, as we’re putting this in the oven and broiler, and they’re also better to bonk burglars over the head with), and sauté the onions for 2 minutes. Add the Tofurky sausage, mushrooms, tomatoes, and thyme, and sauté for 3 more minutes. Squirt in the lemon juice, mix and remove from heat. Mix the cooked veggies and sausage in with your tofu in the bowl, then fold in spinach and basil leaves. Smush the whole mixture back into the skillet, pressing down firmly with a spatula. Sprinkle with Daiya cheese, if you like, and pop the whole shebang into the broiler to melt the cheese and brown the top (no more than 2 minutes). Let the frittata sit for 10 minutes before serving. Cut into pie-like slices, if you’re fancy. Or, if you’re me, just stand over the stove and eat it out of the skillet with a fork. No animals required for this yum-o-rama. The pie crust dough is super savory thanks to my fabulous co-worker, Eneris, screwing up a quiche she made for my birthday. The crust called for a tub of regular Tofutti cream cheese, but she grabbed the herbs and chive version on accident — and a star was born. And now on to my inability to follow instructions. I recently got on a calzone kick. The only problem is I can’t quite stop myself from piling on the ingredients, and then my calzones explode and, while they are tasty, they don’t look very pretty. Did you know calzone is Italian for “a tasty mess?” True story. I hopped on Google for a recommended baking temperature and time and this caught my eye: a Tebow family recipe for all my football- and meat-loving friends. To make your freaking yumtastic dough, follow this recipe. But instead of regular cream cheese, grab yourself some chive and herb or garlic and herb. Preheat your oven to 400 and grease a standard 9-inch pie plate/tin. Flatten your yumtastic dough with a floured rolling pin (or wine bottle, if you don’t have a rolling pin handy) and place it in the pie pan. Warm 2 Tbsps of olive oil in a medium skillet, then throw in your sausage to warm it up. Add the pizza sauce to the skillet, stir in your veggies, thyme, italian seasoning and garlic and then let simmer for 10 minutes, stirring occasionally. Remove skillet from heat, and fold in the spinach and basil. Pour contents of skillet into your pie pan. Top with vegan cheese, and a touch more Italian seasoning, if you so desire. Pop the pie in the oven for 40 minutes, until the cheese is melty and the crust starts to brown. Let the pie cool for about 15 minutes, so it’s easier to cut. I hope you love this pizza as much as my roommate and I do, which is to say we ate the whole thing in less than a day. Have fun playing with the toppings, and by all means let me know how your experimenting goes. Geeky vegan, writer, runner, and lover of music, friends and magical places both real and imaginary. I'm smarter than a 3rd grader but no one will believe me. Fast, Easy and Healthy! It can't get easier than this. A repertoire of recipes for the cramped cook.